Weight: 0.29 ct; size: 4.17 | 4.16 | 2.70 mm; shape: round; colour: light bluish green; strong; clarity: eye clean; cut: very good; treatment: none. A blue colour variety of some tourmaline species, usually of elbaite. 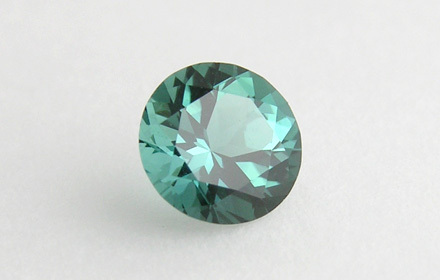 A pure blue is very rare and most indicolite is of teal or blue-green colour.